Tip: An alternative to using point and shoot cameras is to allow students to use camera phones. 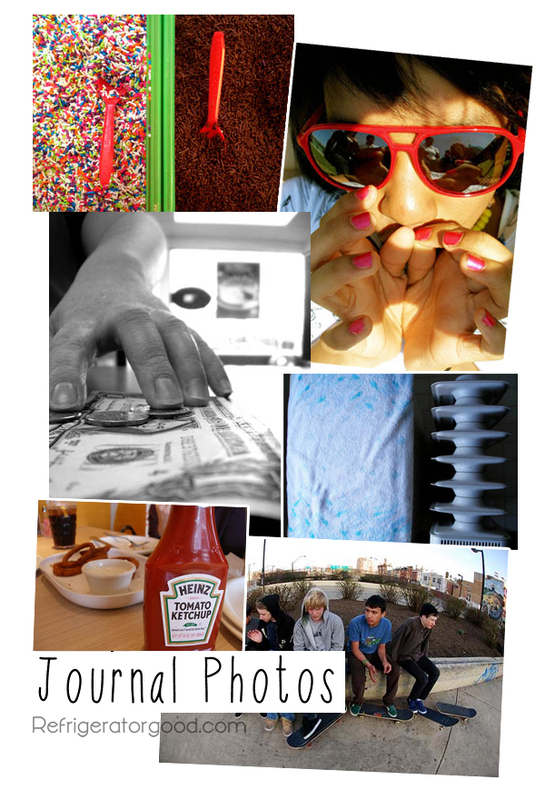 I pitched the journal project as a "spontaneous" look into the life of a Teenager. I gave the kids creative design freedom for each page but required a consistent these per week. Pages ranged from simplistic to collaged. It was interesting to see how the journals progressed throughout the semester.